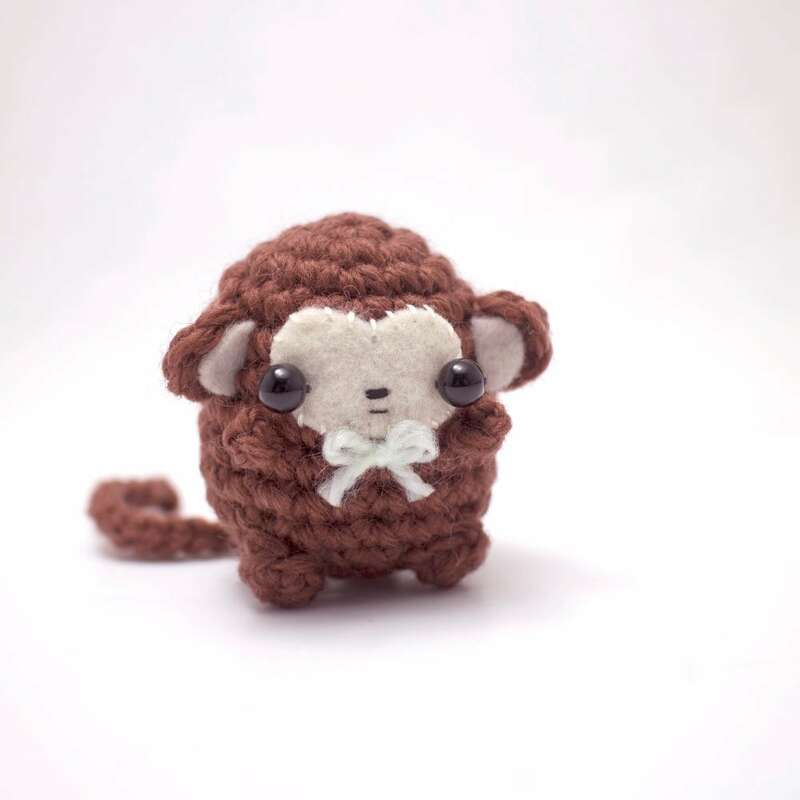 A downloadable amigurumi pattern for a little crochet monkey. 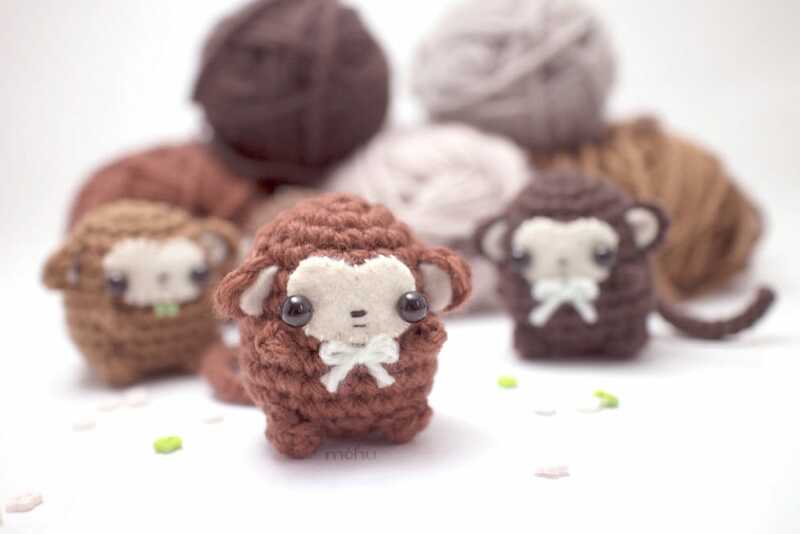 The pdf file includes a written crochet pattern, step-by-step photos, detailed assembly instructions, and a printable template for the felt face and ears. 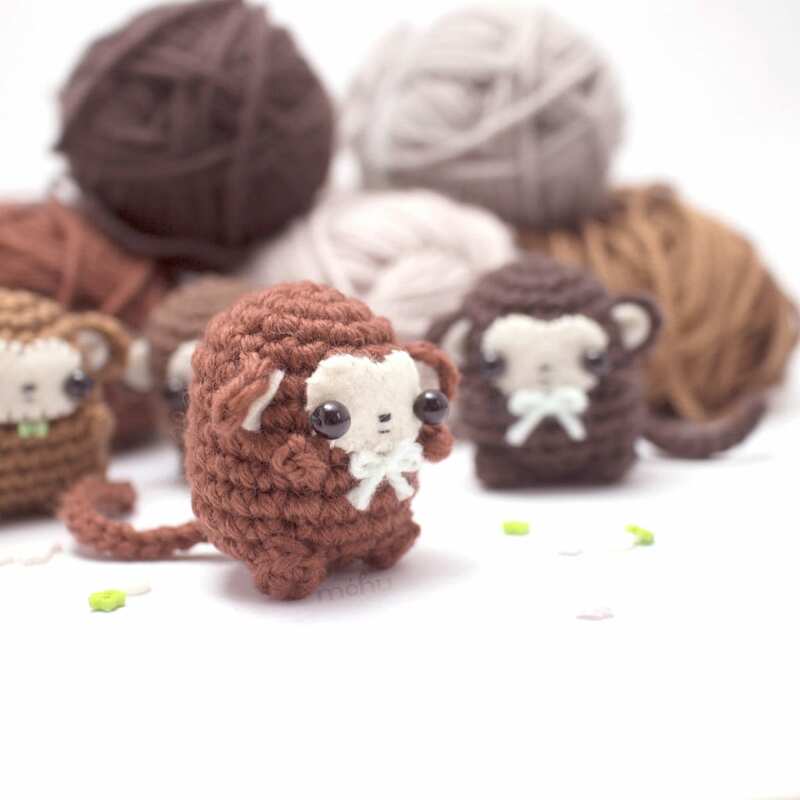 You will need to know how to crochet in the round, and make basic single crochet stitches. These techniques are taught in the beginner's crochet guide, included in your purchase. US crochet terms are used. 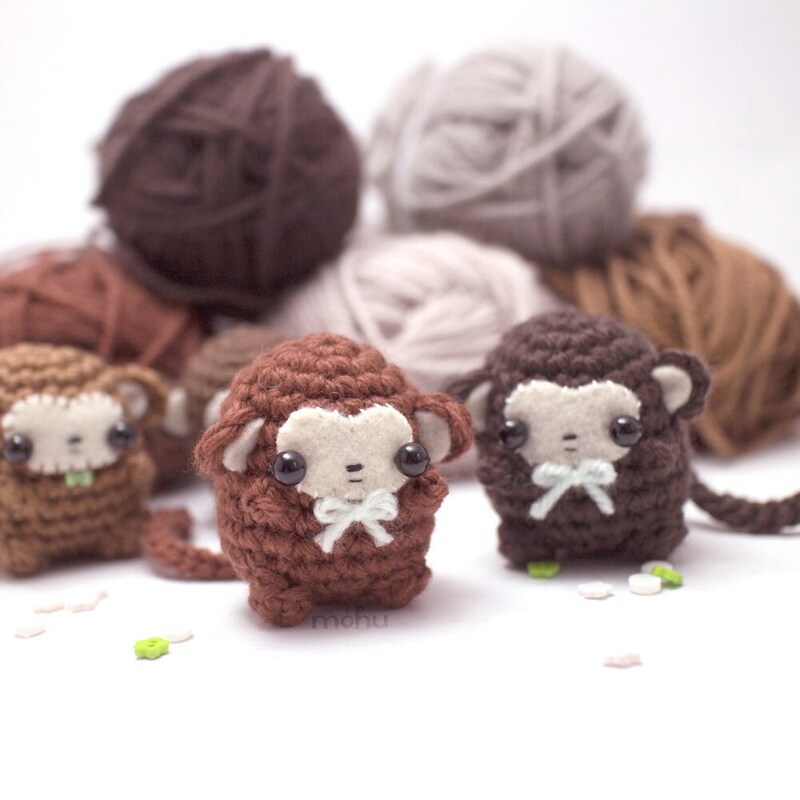 Using medium (worsted) weight yarn and a 3.5 mm (E) crochet hook, your monkey should be about 5 cm / 2" tall and 4 cm / 1.6" wide. If yours turns out much bigger or smaller, you'll need to adjust the felt template to match. 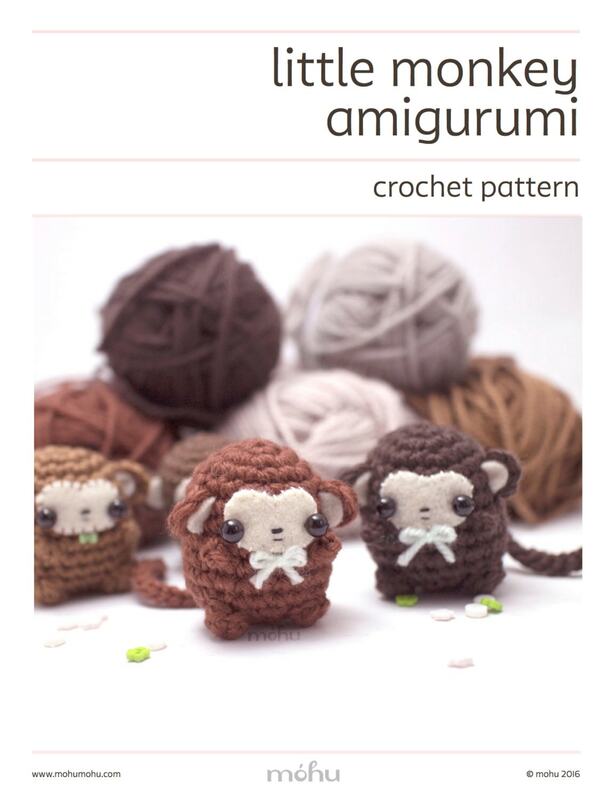 Copyright: Purchasing this pattern does not give you the rights to the design. You may not distribute copies of the pattern. You may not publish or distribute an altered or modified version of the pattern or design. Getting your pattern: Once your payment is processed, you'll be able to download the pattern immediately from your Etsy account. Feel free to contact me if you need any help. I love this sellers patterns, they are amazing! So cute. Patterns are always so easy to make! Thank you!